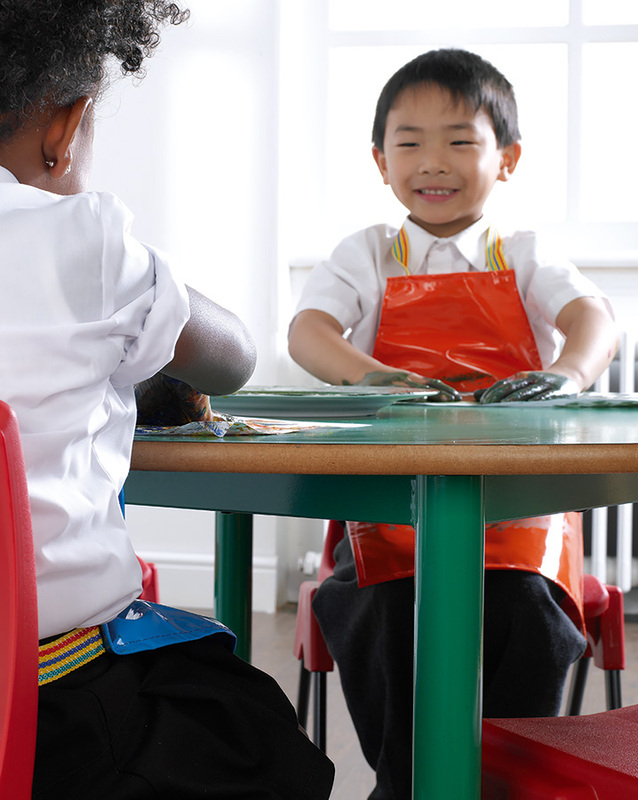 Supplied in packs of 3, the trapezoidal premium nursery table is suitable for use within schools, pre-schools and nurseries. The table top is 1100mm x 550mm with a choice of 3 heights, making it suitable for ages 3-8 years. Each table features a chunky 45mm fully welded steel frame with tubular legs, an 18mm laminate table top with a polished and lacquered MDF edge. 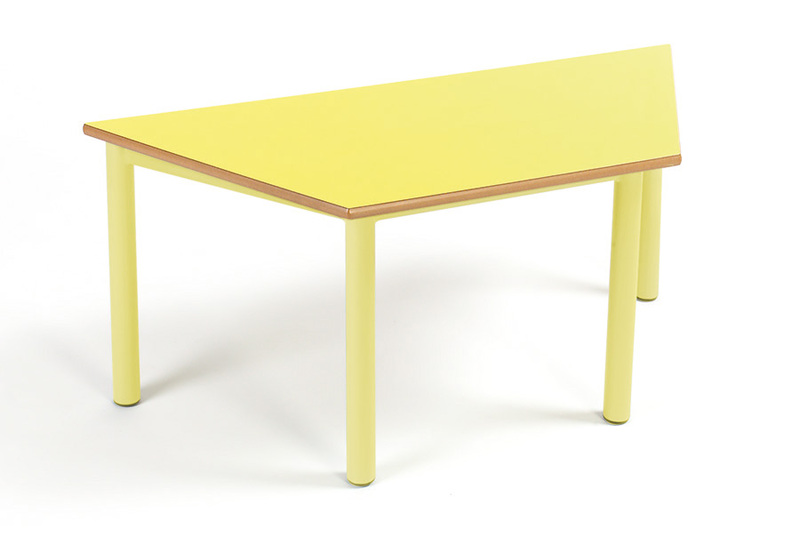 Available in 7 bright colours with colour co-ordinated frames, these classroom tables are bright and stylish. The premium nursery tables come in packs of three and include a 10 year warranty. Other premium nursery tables include Circular and Rectangular tables.